So many of us think more money is the answer to everything in life. Some dream about it, most lose sleep over it. 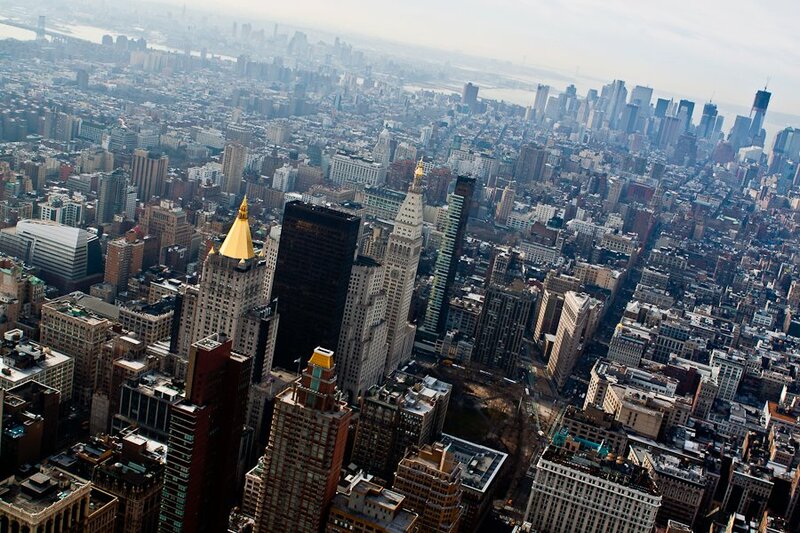 The vast majority of people are so convinced that more money will solve all their problems. The fixation on having more is SO overpowering that little to no focus is placed on making what we currently have work better. In fact, most people would rather lose sleep stressing out over not having more money, than to make every dollar they already have work like a hundred. This post is about getting intimate with YOUR money. So grab a warm drink, get comfortable and know that you’re not alone. I tried different ways to retroactively budget each month, I thought I needed more and more tools / software / apps to help me find where I could save money. There was even a year when I hooked my bank accounts up to online services that would give me dashboards and graphs and recommendations on where I may want to cut back spending. I felt like I was in the matrix, everything got really slow and I could see the money floating around me. But you know what? That only worked out for a couple months, because it didn't fit with my personality. I learned that I can't operate in the details forever. I just needed to see them, understand what was happening and then focus back on the big picture. A macro view of money coming in and going out with built in strategies to ensure savings occurred every payday (Learn this strategy here). This ended up working the best for me and I've been doing it since the early 2000's. It is big picture enough for me to know what's happening without having to do spreadsheets, and I determine how much I save each month guaranteed because I do it first before spending my money (always pay yourself first). From experience helping people get into financial planning, the best strategy is the one you can stick with and build good habits around. Everybody is different and you can’t use someone else’s formula. If you're just getting started, which resonates with you more? Of course I need to see where my money is going, how is there any other way to live? I think you should try micro budgeting, there are a few services online that can link with your bank account and tell you where your money is going with all the flashy dashboards you want. I dread seeing all the details all the time and I hate doing spreadsheets at the end of every month - I just need time to think about other things. Neither approach is better or more beneficial or more efficient. Neither one will bring you success unless it fits with YOU. By the way, it's perfectly normal to do a mix of the two extremes, maybe big picture about the overall approach, and micro about certain types of expenses. The first thing you need to do is understand your cash flow. Cash flow: the total amount of money being transferred into and out your bank account(s). For simplicity sake we’ll consider these on a per month basis. These are all your monthly expenses. 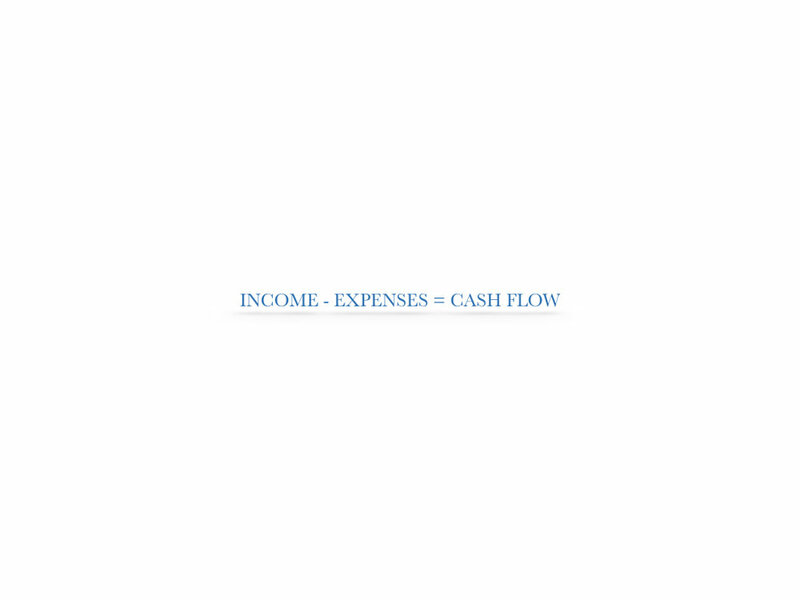 For most of us, we have way more expenses than income in terms of the number of expenses. These would include (but not limited to) the money you spend on housing (rent / lease or buy / mortgage payments), groceries, transportation (gas / wear and tear of your vehicle / car payments / transit pass / insurance etc...), entertainment, personal expenses, and also all the other things that you don’t want anyone else to know. This is the best time to be honest with yourself and as accurate as possible. If you are overwhelmed (like me when I started), just try and figure out an average for the month because some months will be higher than others. This will tell you how much money came into your life that year, and now go to your bank account and check the balance at the end of the year. How much did you end up keeping at the end of the year? Try and figure out the macro numbers for the year and then divide by 12 months to get you the average. When cash flow is a positive number, our bank accounts grow (which is good). This may be because we’re actively trying to save money. When cash flow is negative, we’re losing money each month (which is not so good). If these numbers are the same, they cancel each other out: you're not saving money, but you're also not losing money. This is what most people experience. Once you understand your cash flow each month, you are ready to start building savings (I suggest with the above mentioned pre-authorized transfer strategy) and investing that money so that it can grow and work for you 24/7. We'll talk about investing very soon. If you’re 25 years old and make $40,000 a year salary, you’re already making enough money to be a millionaire by the time you’re 65. You have enough to get you there. In our education system, we're taught to learn math, science, poetry... but we're not taught how to read financial statements, despite the fact that we all absolutely need to know how to do this. We often talk about literacy rates in society, but most people are financially illiterate and it's not their fault. If you're trying to get money from a bank, they will never ask to see your report card from school, they will however, always ask to see your financial statement. Because it is your financial statement that indicates how high your financial IQ is. If you're smart with money, a banker will give you all the money you want, because you know how to make money with money (and the bank will safely make some along the way). If you're not smart about money, all a banker will give you is a credit card and a mortgage because of the risk that you will lose their money. but some of us are on different sides. Just remember, this works both ways - similar to how you are trying to generate as many assets as possible and reduce the number of liabilities, financial institutions are playing the same game, just on the flip side. 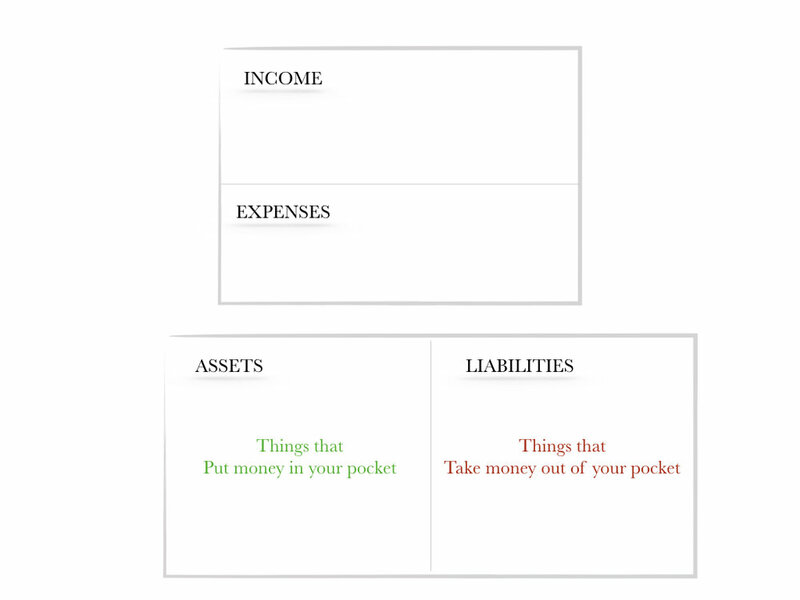 On the bank's financial statement YOU and your real estate mortgage are their assets (it puts money in their pockets). Everyone has it backwards - the key to financial independence is not about how much money you make - it’s about how much you’re spending. A lot of the concepts in this post are from a great book by Robert Kiyosaki (linked below). If you're looking for a great resource with more information, I recommend it to get you started thinking differently about how to save and invest your money. 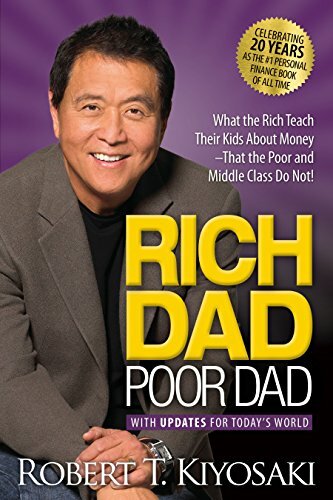 Because of what I've learned in this book, I'm now primarily a passive investor, which means I sleep well at night knowing my money is growing without my constant attention. TL:DR - When you know your cash flow, it's easy to come up with money to invest. If you make over $40k salary you already have the income to be a millionaire by the time you're 65. Thanks for reading! 🙂 If you enjoyed this article, consider subscribing for notifications on new posts — I only write about money.